Welcome to our event in Helsinki, Nordea Campus Valilla. 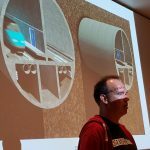 We are proud to have Peter Vesterbacka to speak in our evening event and we warmly welcome our PMI Finland members and any potential new members to join us. We hope to see lot of new faces in audience as well. Evening program includes a dinner: starters and main course are served from 17:00 to 17:50, presentation will be 18:00-19:00 and dessert is served 19:00 – 20:00. Those who want to continue networking, beer restaurant Hilpeä Hauki is our target. This event, including the dinner with two drinks, is free – but we’d very much like the attendees to donate 15 Eur to charity, eg http://hurstinapu.fi/. 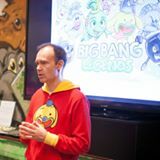 Peter Vesterbacka is known for launching innovative ideas and setting high goals – and achieving them. Slush, Rovio, ice-hockey to China, tunnel to Tallinn … and more.